"I genuinely care about every bride, every wedding. It's not just being the hairstylist it's being part of the story of two people in love. The magic that surrounds a wedding just empowers you to give it your all from the first phone call to the big day. The energy that surrounds you fills you with excitement, passion and creativity to design an individual style to perfection, thats special and unique for that bride, not a repetition of someone's else's hair"
This bespoke service begins with an in-depth consultation, where i like to see a picture of your dress/ hair and any theme you may have. From here I can give you advice on what you may need to do with your hair before your wedding day. I will also give you a list of recommended sites for inspiration on styles. Once i have seen the type of hair styles that you like i will gather some images that i would recommend for you to look at. From the consultation we will have liaised closely together and have pictures of the styles that you like. In this relaxed trial I allow up to three hours as I like you to have the option to try what you want and for you not to feel under pressure. From here we will design your style. We will then sit together and discuss the best hair accessory to complete the style to 100% perfection. We take lots of photos for you to refer to. I will liaise with you to give you advice and ideas regarding hair style designs for any bridesmaids and guests that will require styling. A personal time schedule will then be made for the wedding day. It will suit your requirements and ensure a relaxed and magical morning of preparations for the big moment. This is where it all comes together, after months of planning and preparation, It’s finally your time to sit back and relax and enjoy every moment, safe in the knowledge that you’re in more than capable hands. 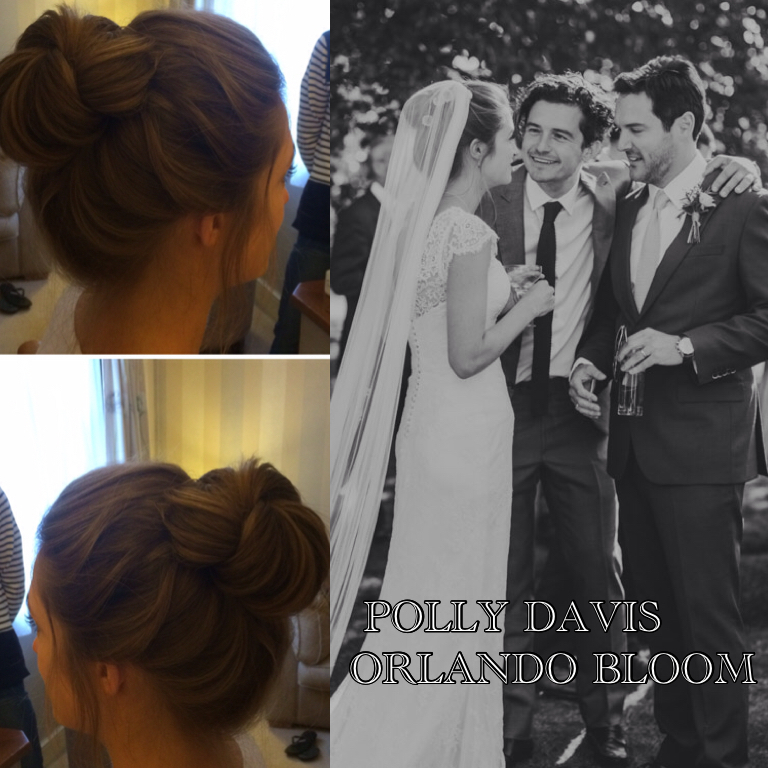 Yours and your bridal parties hair will be styled in a relaxed and fun atmosphere, leaving you feeling confident and looking absolutely picture perfect. Within this bespoke service i will be on hand to help in other ways, such as arranging your veil and assisting your bridal party with any hats or hair accessories. If you are getting married abroad Gemma Holiday Hair Artistry offers tailor made schedules and packages to suit your individual requirements. Whether you require styling leading up to the wedding for shoots, styling for the wedding party and guests or pre-wedding dinner styling we can create a bespoke service to make your experience truly magical. Looking for a dream hair and makeup team for your wedding day? These two oh-so-talented Makeup Artists will enhance your natural beauty, ensuring your uniquely you look will last beyond those dance floor moves. Myself or one of my Pro Team Hairstylists will work with our in house makeup artist Hayley (Please see Pro Team section for details). 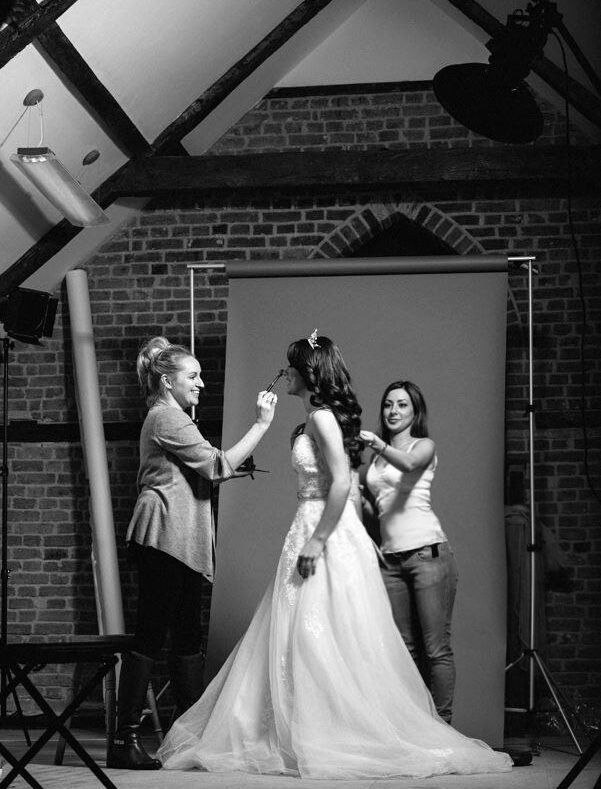 Or, celebrity makeup artist Melissa Abel to create a bespoke bridal service to suit your individual style. Early booking is genuinely recommended, as dates do get booked quickly and on many occasions a good year or two in advance.